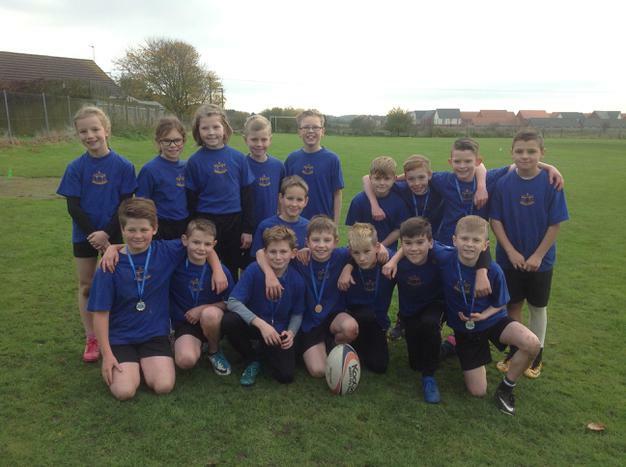 On Tuesday 14th November, 17 children from Years 5 and 6 competed in a Tag Rugby tournament at Horncastle Football Club. The tournament consisted of 11 teams across 2 leagues. We were lucky enough to take 2 teams - 1 to compete in each league. The children played extremely well, showing excellent teamwork and skill as they progressed through the games. Horncastle B came a very close 2nd in their league, finishing 4th overall, and Horncastle A won their league before winning their final match, ending in 1st place. A very enjoyable morning had by all. Well done!